Approximate Measurements are: 15mm (9/16") x 40mm (1 9/16") Depending on the name. The chain is also available in 16" and 20". 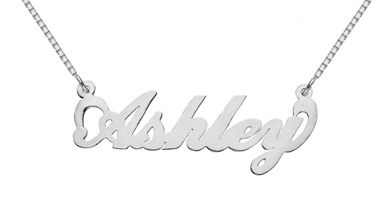 We guarantee our Sterling Silver Custom Name Pendant, Ashley Design to be high quality, authentic jewelry, as described above.